Buy from an independent bookseller or Amazon. who have a sense of ownership and personal responsibility for their learning and their lives. Lori Dunlap’s enlightening and important new book is clearly aimed at two distinct but related audiences: (a) college admissions officers who want to better understand homeschooled applicants and (b) homeschooling families who want to be well prepared and positioned for college admissions. I would suggest that there are at least two more audiences that could benefit from reading this book: (c) families of students who have attended small, alternative (and perhaps unaccredited) private schools that do not produce conventional transcripts and (d) guidance counselors and administrators who work at those same alternative schools and want to help their decidedly nontraditional students find success in the traditional college admissions system. Dunlap is an education and career adviser at Teach Your Own near Portland, Oregon. She has served as a career development program director, adjunct faculty member, and admissions committee member at Arizona State University. 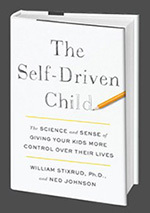 The book is informed by her professional experience in admissions; her personal background as a homeschooling parent; her analysis of multiple scholarly studies of homeschooled and unschooled students’ outcomes as college applicants, students, and graduates; and her own research, including recent surveys she conducted of both college admissions officers and homeschooling families. Published last summer, the book begins with a straight-talking overview of contemporary homeschooling and homeschoolers. The author explains that there are as many approaches to homeschooling as there are homeschoolers, and she describes a continuum, from highly structured (also known as “school at home”) to unstructured (best known as “unschooling”), with most practitioners falling somewhere in the middle as “eclectic” homeschoolers. Only wealthy families can homeschool. Parents cannot teach better than licensed teachers. She also discusses the most obvious reasons for, as well as some likely underlying causes of, the rapid growth of secular (nonreligious) homeschooling in the United States. Paramount among these is dissatisfaction with the quality (and, with the rise of high-stakes standardized testing, the quantity) of meaningful learning experiences in public schools. significantly more involved in leadership positions for longer periods of time. The book distills the findings of numerous studies that show homeschoolers to be just as successful in college “across all measures of success” as their conventionally schooled peers—and in some measures, such as leadership, even more so. This data is echoed in survey responses from admissions officers and administrators at colleges and universities small and large, public and private, including Ivy League and other highly selective schools. they take risks, they face challenges with total fervor, and they don’t back off. Dunlap presents a set of “Common and Best Practices” derived from a series of interviews the author conducted with admissions professionals at a wide variety of colleges and universities in 2016. One of these recommended practices is the portfolio submission option, which is gaining in popularity for all types of students because it allows them to present a more robust picture of their abilities and accomplishments than the cold, hard numbers of test scores and GPAs. The final chapter turns those best practices into actionable recommendations for admissions professionals. Dunlap’s suggestions include expanding admissions websites to include specific (and welcoming) instructions for homeschooled applicants, thoroughly educating admissions staff about the college’s policies and procedures for homeschoolers, designating a staff homeschool specialist, providing an online transcript template, and many more good ideas. 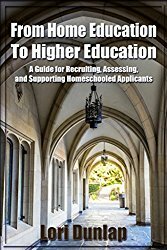 The book’s appendices provide more details about Dunlap’s survey process and lists of helpful resources for both college admissions staff and college-bound homeschoolers and their families. A personal note: This book couldn’t have landed on my desk at a better time for my family. As a parent of an alt-schooled senior in the thick of college applications, I’m grateful to have had the opportunity to soak up Lori Dunlap’s insights. 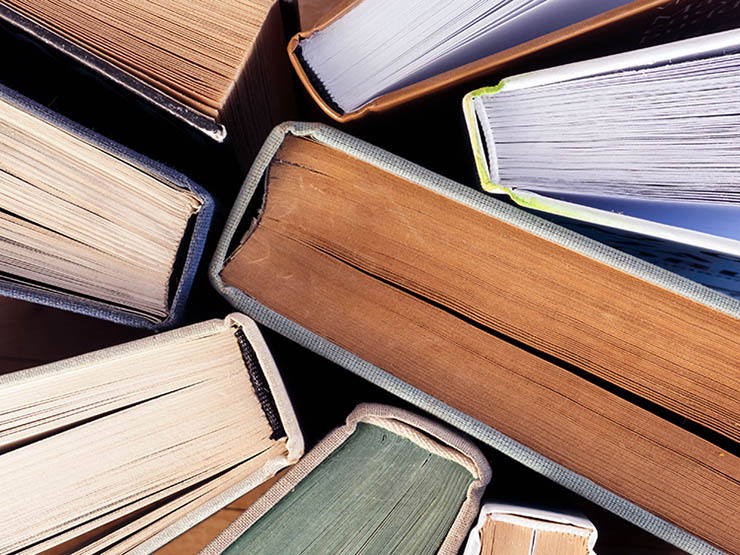 As an educational consultant, I look forward to displaying From Home Education to Higher Education prominently on my office bookshelf and recommending it to my clients. Did you Buy Local for your Halloween pumpkin this year? Are you giving out local Lamme’s next week—or at least buying some for yourself? Good. Now, how about some local video and audio fun for you and your kids? ARTtv is a YouTube channel that wants your kids to do just one thing: MAKE SOME ART! The channel is the brainchild of Ron Pippin, an Austinite with 25 years of experience in film and video production. The topics on this vast channel of mostly kid-made videos include mini lessons on all sorts of skills and projects, from drawing faces to writing poetry about bats to making an automaton. Plus lots and lots of great music by and for kids. ARTtv is connected to Outside Voice, a creative community for kids that you can help fund through Indiegogo. You can find out more about Outside Voice on Facebook and follow them on Twitter. Tumble is a podcast for kids ages 8 to 12 about every aspect of SCIENCE! But honestly, I’m five times older than that target demographic, and I’m adding it to my playlist today. The hosts are partners in life and on the podcast. Lindsay Patterson and Marshall Escamilla love trivia, cool and gross stories, and dumb puns. But mostly they love science. In episodes that last about 15 minutes each, Lindsay and Marshall share fascinating facts about salamanders, electricity, and exploding stars. As with most podcasts, the thing that will keep you coming back is the chemistry (!) of the hosts, who ask sharp, interesting questions of their scientist guests and do a lot of giggling. And if you end up loving it like I do, there’s also a newsletter you can subscribe to and a way to support the podcast through Patreon. Follow Tumble on Facebook and on Twitter. Looking for a movie to see with your teen or tween this weekend? Our guest contributor, Antonio Buehler, says this film is worth your while. Antonio is the founder of Abrome, a K–12 school just west of Austin that offers a program of “Emancipated Learning” for students age 5 to 18. Middle School: The Worst Years of My Life (PG) revolves around a young man named Rafe who has a wild imagination that flows through the drawings he keeps in a special notebook. He also has not had the best experiences at school, seemingly due to behavioral issues, and is on his third school since his younger brother died from leukemia. He understands that this is his last shot at public school, and the threat of being sent away to a military school looms on the horizon if he does not make it work at Hills Village Middle School (HVMS). His first day of school does not get off to a great start. After staying up all night drawing cartoons in his notebook, he is stopped by the principal as he is approaching the front doors of the school. Principal Dwight informs Rafe that the clothes he is wearing violates one of many school rules. While he is droning on, telling Rafe to get to know all of the rules in his rule book, Rafe’s friend Leo shows up behind the principal and mocks his every gesture. Rafe is thrilled to see Leo, who says that he was pushed out of his old school, too. Distraught, Rafe holes himself up in his room at home. Fortunately, Leo comes to the emotional rescue and encourages Rafe to seek revenge by engaging in a campaign to undermine Principal Dwight’s oppressive rule. Leo convinces Rafe to figuratively destroy Principal Dwight’s rule book. With eight weeks left until the B.L.A.A.R., Rafe and Leo begin to plan and execute elaborate pranks that systematically violate each of Principal Dwight’s beloved rules. As Rafe and Leo carry out prank after prank, with the outcome always seen by an amused audience of students, many older viewers will be brought back to their middle school years, wishing that they could have done something about the needless limits imposed on their freedoms, while younger viewers may find themselves imagining taking on The Man in their schools in their own ways. Just beyond the pranks, the B.L.A.A.R. is a constant, brewing threat. Not just for the students in terms of a stressful waste of time, but even more so for Principal Dwight and Vice Principal Stricker, who are judged based on the scores of their students. Rafe recognizes how pointless the B.L.A.A.R. is and comments at one point, “I’m learning more by breaking the rules than by preparing for some dumb test.” Principal Dwight, on the other hand, is willing to expel students in an effort to boost the test scores for the school, much like many public schools have been documented pushing out poorly performing students or those with disciplinary issues. In the course of breaking all the rules at school, Rafe falls for a social justice oriented classmate named Jeanne while trying to navigate around a bully named Miller. At home, Rafe and his little sister Georgia have a complicated relationship, likely complicated by the passing of their brother, while they both suffer through socially painful interactions with their mom’s obnoxious boyfriend, Carl. The acting is not as moving as the story, although I doubt many people can get through it without shedding some tears, particularly during a moving plot twist toward the end of the movie. All in all, the movie does a fine job of highlighting some of the problems inherent in conventional schooling. Rafe’s homeroom teacher asks at one point, “What is this obsession with testing and categorizing kids?”—which, hopefully, plants a seed in the mind of every student and parent who sees the movie. Unfortunately, the movie does not take this question to its logical conclusion, given the reality that traditional schools will continue to test and categorize young people for the foreseeable future. Fortunately, for those who are willing to pursue an answer, there are many alternatives to conventional schooling, including progressive alternative schools, homeschooling, and unschooling. I encourage people to go see this movie, preferably as a family, and then discuss the themes it raises. You may have seen some recent stories making the rounds on Facebook about the one-dimensional offerings in Girls’ Life vs. Boys’ Life magazines. And you may also have caught a mention here and there of Kazoo, a brand-new magazine for girls ages 5 to 10 that explicitly takes a feminist stance. Kazoo encourages girls to “make some noise” and features stories about science, exploration, sports, and other topics to engage young minds. There are no advertorials about fancy hairstyles or makeup here. Amy Poehler’s Smart Girls website—a fountain of pro-girl information, says Kazoo is required reading, and I agree. The latest issue, focused on nature and the great outdoors, looks like it will be out in mid-October. Currently, Kazoo is only available in print and only published four times a year, at a fairly pricey $12.50 per issue or $50 per year. But it’s possible the number of issues will go up, and the price will come down a little as it gets more established. I only wish Bried’s team would launch a companion magazine for girls ages 11 to 16, since we all know that those are the years when girls tend to lose their confidence and assertiveness, often retreating from their interest in pirates. You can follow Kazoo on Facebook to find out the latest info. Shameless is a Canadian teen magazine aimed at girls and also trans youth. The topics tend toward culture and politics, and each issue usually includes profiles of cool women, a little sports, crafts, tech, and other on-trend topics. Unfortunately, it only comes out three times a year and is rare in U.S. bookstores, but the great thing is that you can download full issues from their site at only $5 each. The blog that goes with the magazine offers tons of unique articles, and the diversity of the bloggers is a major plus. Definitely worth a look if your kid likes music, the arts, politics, and Canadians—well, who doesn’t like Canadians? And they take art and story pitches from readers! New Moon Girls is by and for girls ages 9 to 16 and has been around since the 1990s. The magazine takes a community focus, with an online component that connects girls and offers intellectual and emotional support during the tough tween and teen years. The magazine features an amazing variety of stories looking at girls’ lives worldwide, fiction, health, crafts, careers, science—and actively encourages submissions from young writers. It’s published six times a year, with a $40 subscription. I also ran across an online news site called Teen Voices, which is an offshoot of the nonprofit Women’s eNews. Apparently, there used to be a print version, but it doesn’t seem to be published anymore. This site offers an opportunity for teen girls to write and report on stories they are passionate about and has an expansive global vision. You’re probably familiar with the Cricket media empire for kids—they produce high-quality educational magazines for all ages. One I was not familiar with, but which is focused on the sciences, with a little history and archaeology thrown in for good measure sometimes, is MUSE, for kids ages 9 to 14. They offer a sample issue to check out with your kids and publish nine issues a year, with reasonably priced print and digital subscriptions. 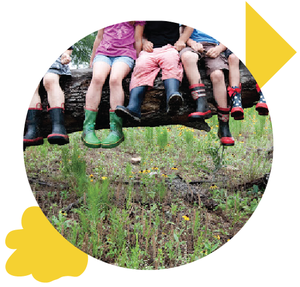 And there’s a great Texas-based magazine, Creative Kids, for ages 8 to16, that includes art, essays, and stories submitted by kids and for kids. It’s a quarterly paper magazine, but there is a limited online version and a blog. I love the way this one encourages young writers and artists and takes them seriously as creators. I’d like to do a full blog post soon about the wealth of opportunities out there for kids to publish their fiction and artwork, so please let me know if there are print or online magazine that you recommend!